A switch statement in java allows us to selectively execute a block of statements based on the value of a variable or constant expression. 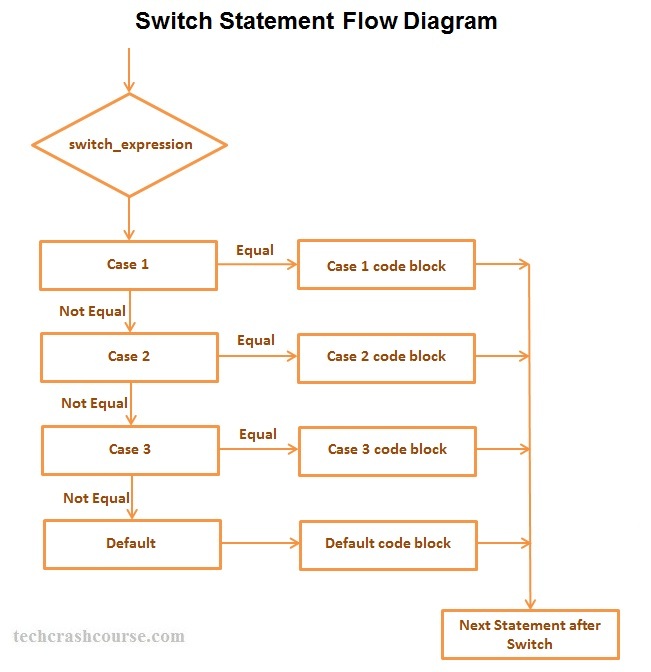 In a switch case statement a variable or value of an constant expression is tested for equality against a list of possible case labels and when match is found, the block of code associated with matched case is executed. It is similar to if..else ladder statement, but the syntax of switch statement is more readable and easy to understand. The expression in switch case must evaluates to char, byte, short, int or enum. You can use any number of case labels within a switch. Case labels must be unique. We cannot write two case blocks with same constants. Switch statements can only be used to perform equality comparison, we cannot perform conditional checks using relational or logical operators like <, >, <=, &&, || etc.